... screamed every Smash Bros player in the world! 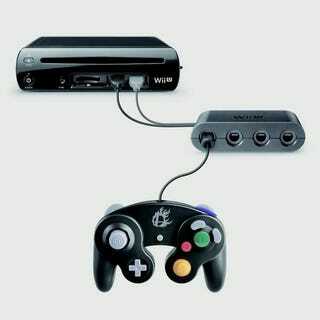 Nintendo has just announced this USB adapter to plug in GameCube controllers into the Wii U. While everyone is excited to be able to finally use the greatest Smash Bros controller ever in the upcoming Wii U entry, I find myself now truly believing that Nintendo will soon indeed begin selling GameCube games via it's Virtual Console services. F-Zero GX anyone?